Much of my life has been about 2 wheels. As a kid I grew up riding my BMX to school and all around town. Eventually I graduated to a bike with a motor and right away I was addicted. I spent the next 8 years of my life riding dirt bikes every chance I got. As I got older it didn't matter if I was on a dirt bike or a street bike as long as I was riding. The thought of racing pro motocross crossed my mind, but an untimely injury and the costs involved with getting to the race tracks took their toll. In the meantime my father Mert Lawwill, who will forever be imortalized in the epic film On Any Sunday began developing some of the first full suspension mountain bikes with mountain bike pioneer Gary Fisher. I began riding these bikes and at first I was not too thrilled. Not only was it hard to ride up these hills, but these early bikes were very unpredictable and could impload at anytime. Always a tinkerer I began putting more energy into these bikes and tried to help come up with ways to to make the bikes work better. It wasn't long till the big progressed to a point that they were considered to be the best full suspenion bikes available...at the time. I really started putting in the miles and really enjoying the freedom and the relative low costs of being able to ride. It wasn't long till I started racing local events. With the help og Gary Fisher I worked my way onto the National Circuit and year after year I was successful enough to get sponsors and financial backing that would send me literally all over the world to race my bike. I did this for the next 12 years of my life culminating with a Masters World Downhill Championship in 2002. Must sign up prior to class. Currently I am not offering any bike clinics. Please check with www.bikeskills.com for other instructor clinics. New trail opening in Aliso Woods! Well known "Car Wreck" trail has been approved as a LEGAL trail and will official open Sunday August 15th! The organization SHARE organized a work party with 40 plus volunteers including myself and New Rider instructor Bob Loeffler. With only one re-route and some needed attention to the trail it will be a very challenging ripping trail! This is definitely not a beginner trail. There will be a ribbon cutting ceremony between 9am-10am August 15th. County officials and OC registers David Whiting will be on hand for the ceremony. Everyone is welcome and encouraged to attend. Just posted my gallery of photos from todays US Grand Prix. It was cool to check out the guys from Europe that you dont normally get to see in person. I take my first Super D win on my Santa Cruz Blur LTC! Finally got the Super D win after a handfull of second place finishes. 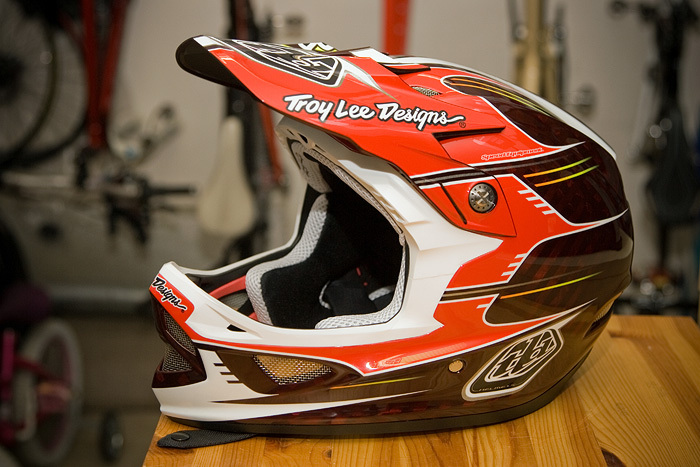 Just got my new Troy Lee Designs D3 helmet! I was pretty happy with my D2 and thought I was content to use it for another season but then I tried on the new D3. Wow, what an unbelievable helmet. If you are in th emarket for a new helmet this is the one to get! James Wilson who runs MTB Strength Training Systems is very passionate about strength training specifically in relation to riding mountain bikes. be sure to check out the programs he offers! Velocity's 3rd race of the season saw their largest turnout thus far. 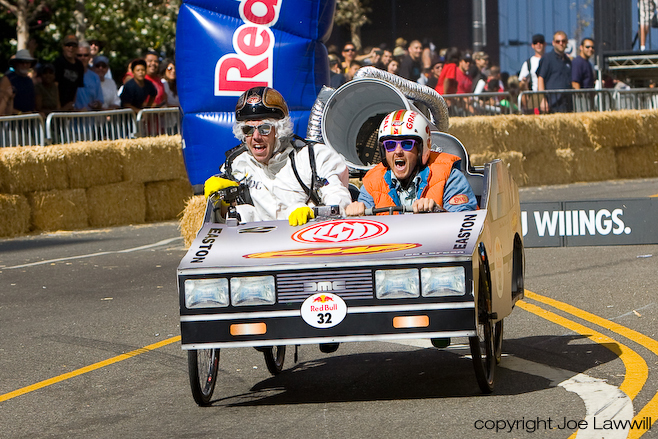 40 wild competitors showed up to test their very custom soap box contraptions down an interesting signature Red Bull course. Over 100,000 spectators came out to witness the spectacle. Huge crowd of cycling fans came out to watch some of the best cyclocross racers in the world bury themselves under the lights at the Desert Breeze Soccer Complex. Mid week race series in Orange County!!! 1st Place in the Legends Kamikaze and a 2nd place in the Pro Mens Super D.
For the first time in 5 years there is a major event at the Grand Daddy of them all - Mammoth Mtn! I will be competing in the Super D and the Kamikaze and possibly the XC if I have enough energy left. Will post photos and report as quickly as possible after the event. Click here to check some things you don't see every day! Click here for some fun fireworks photos from tonight! 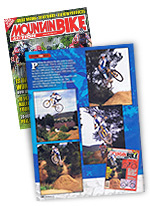 Mountain Bike Action Joe Lawwill Cover revisted! Not sure what prompted this, but I am stooked they did it. On the last page of the magazine they posted my one and only MBA cover from August 1999. Can't believe that was 10 years ago! This mag is on the newstands now so check it out! 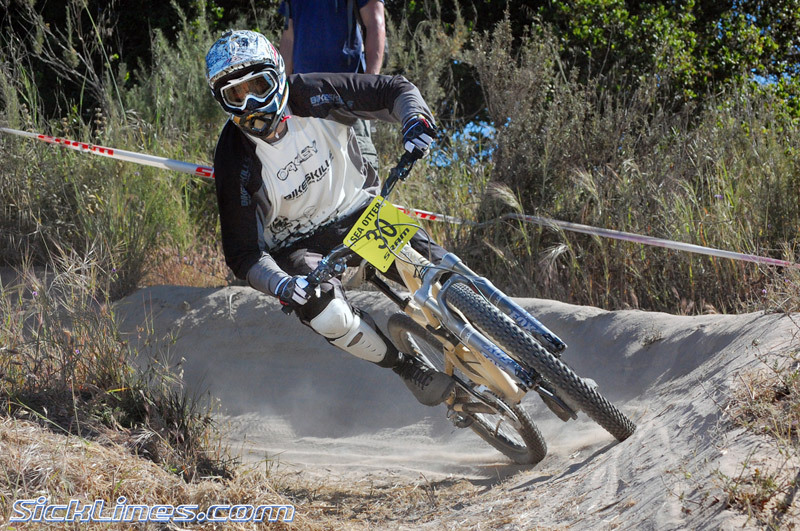 Santa Cruz Bikes claims 4 for 4 wins in the World Cup Downhill circuit. This time it was Greg Minnaar back on top, While teamate Steve Peat retains the points lead. Everybody's favorite rider and Bikeskills friend Steve Peat takes his first world Cup win in 2009 on the Santa Cruz V-10. Peaty also was celebrating the birth of his second kid a few days earlier! Since I just missed qualifying by a couple spots I pulled out the camera and clicked off a few photos during the event. I finished 14th in the Pro Men downhill with a respectable run. I was shooting for top ten but I am still happy. I guess I have to come back again next year and try again! The guys from Sick Lines.com posted some sweet photos of the top downhillers including yours truly with a nice mention and photo. Thanks guys! A 3 page feature of my manual technique. 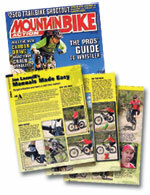 On newstands until May 7th. Download the the complete feature here! Pro Super D dissapointment and Pro DH recap.